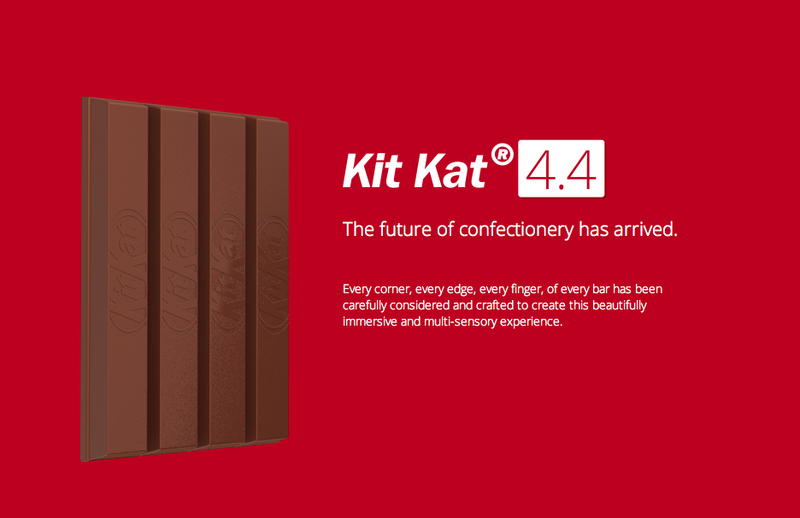 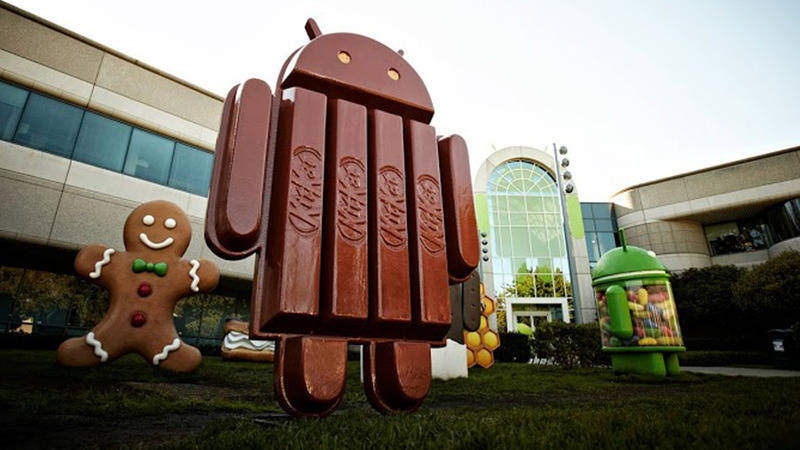 Google and Nestlé have announced the new name and brand identity for Google’s Android 4.4 mobile operating system: Android KitKat. Each version of the Android operating system has been named after a confectionery. Many commentators expected the successor to Android Jelly Bean to be Android Key Lime Pie. 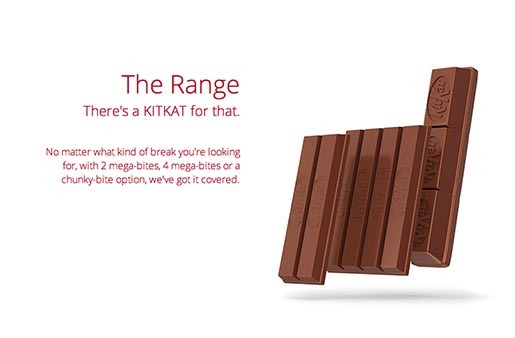 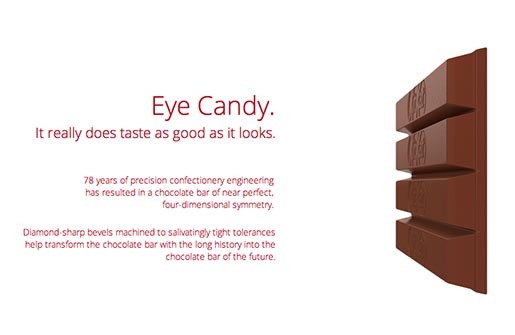 Nestlé advertising, packaging and online media at kitkat.com, @kitkat and facebook.com/kitkat, is tied to a chocolate bar version of the Google Android robot, and spoofs of Apple’s marketing of the iPhone. To mark the release of Android KitKat, more than 50 million specially branded KitKat bars will be available in 19 countries including Australia, Brazil, Germany, India, Japan, Dubai, Russia, the United Kingdom and the United States. 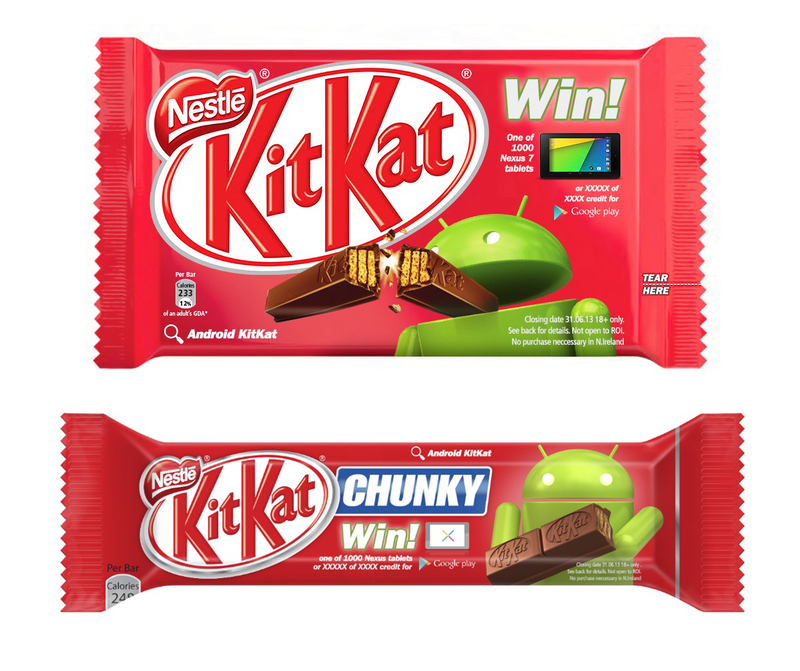 The packs will lead consumers to the website android.com/kitkat where they will have the opportunity to win prizes including a limited number of Google Nexus 7 tablets, and credits to spend in Google Play, Google’s online store for apps, games, music, movies, books and more. 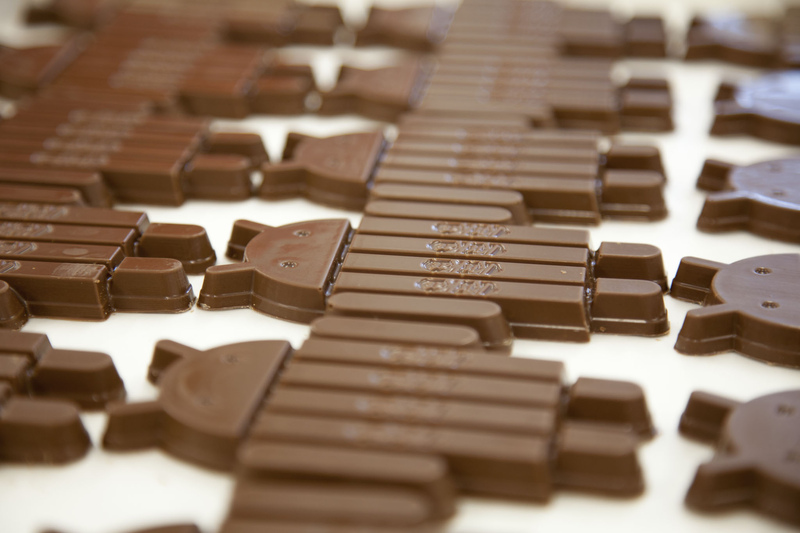 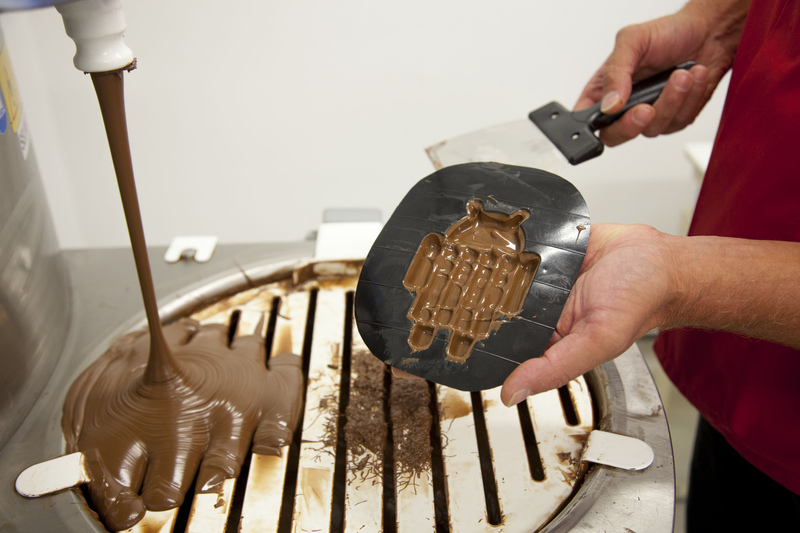 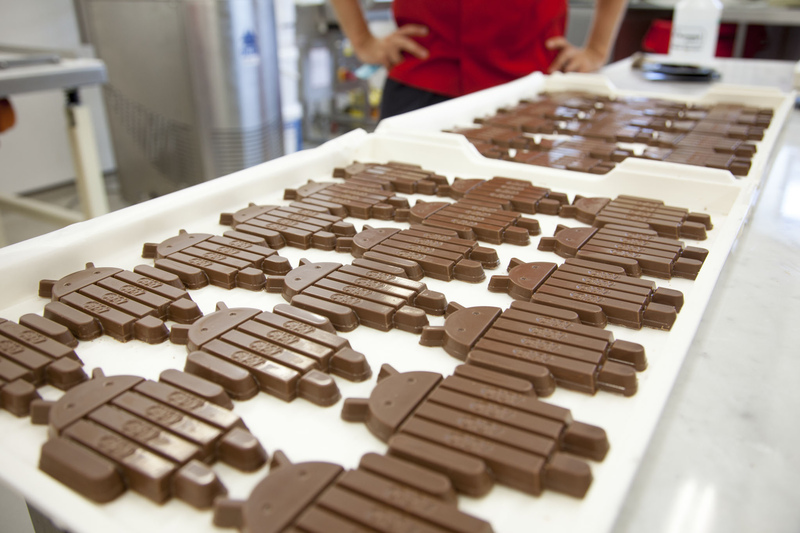 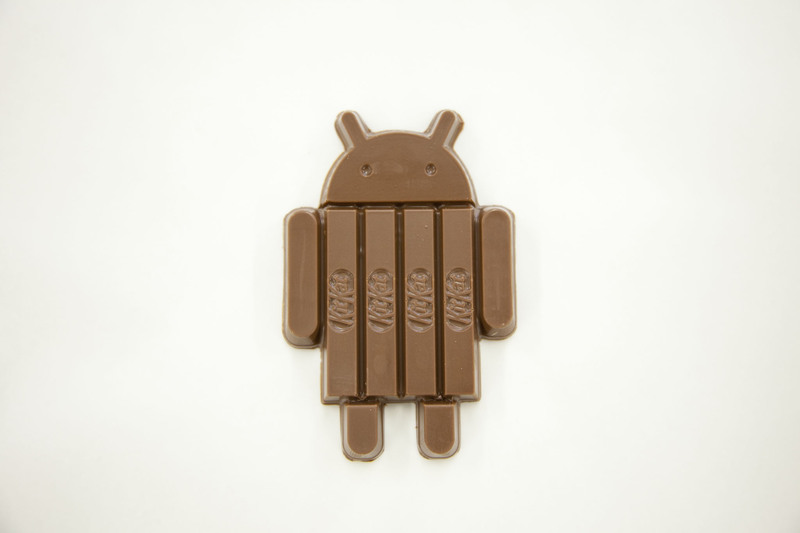 A small number of Android robot-shaped KitKat bars will also be offered as prizes in selected markets. The KitKat launch campaign was developed at JWT London by executive creative director Russell Ramsey, creative directors Barry Christie and Chris Jones, creatives Joe Fox, Morten Legarth and Ben Hopkins, designer James Keane, developers Dave Morgan, Henry Moyo, Matthew Payne, Davide Fortuna and Tobias Fieldhouse, and account manager Antony Hill.